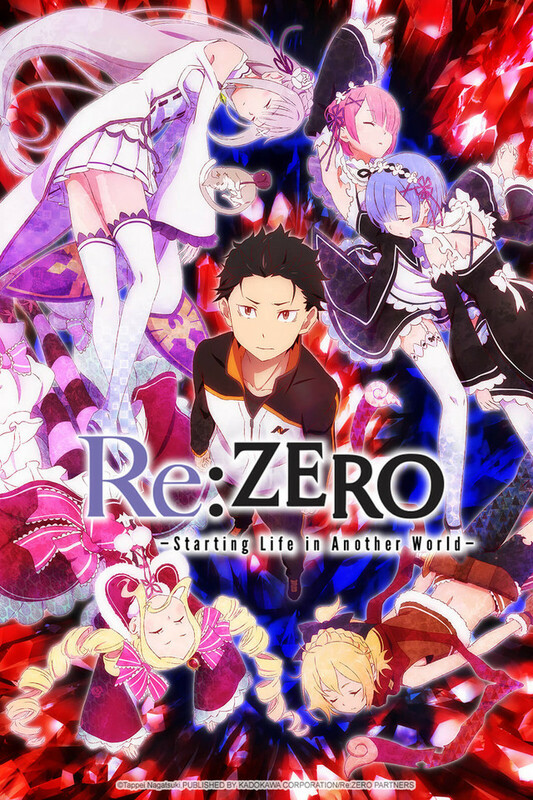 Re:ZERO -Starting Life in Another World- (or otherwise known as Re:Zero kara Hajimeru Isekai Seikatsu) began airing this Spring and continued onto Summer 2016 with 25 episodes. This post will cover some spoilers from the anime as well as cover some thoughts about the show. First off, let me just start by saying that I had no idea I would like this show. I began watching it straight away after I saw some thoughts posted about the show itself. I watched the first two episodes that it aired in the first week and was surprised to find myself watching such an amazing show. First off, I thought the dark nature of the show gave it an edge, plus it was an anime that I clearly was not able to predict. The fans, audience and everyone who watched the show clearly seem to like the show after I read up on the anime subreddit. I learnt that the anime did not go easy on Subaru and did not forgive for the mistakes he made whilst he faced his challenges. The first one he faced was when he tried his hardest to save the girl that kept on dying. 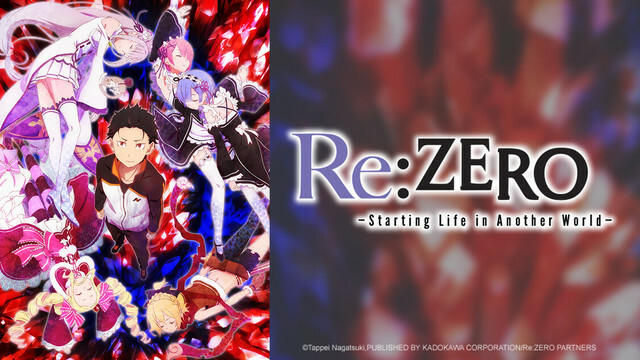 The qualities of this anime comes from that fact that it replays reality in such a way that a protagonist won’t escape the harshness they should face. We’ve seen Shonen Jump (and others) anime and manga coat the protagonist with god-like abilities and powers where they are just unbeatable. I for one felt the realism when Subaru failed and got killed multiple times, he had no escape from the loop he had created and his mission with every try was to figure out how to get out from it. 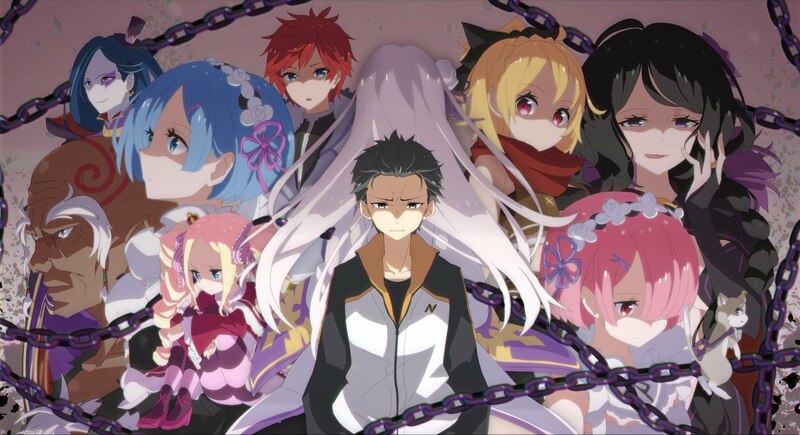 His intention of helping to save Emilia from the witch and the sloth that we see is something that I found to be quite intriguing as Subaru himself tried very hard to save her but at each point it was shocking to see what else changed. Emilia isn’t the only one, it includes Rem and Ram who are supporting characters for the show, but they were extremely supportive, especially Rem who a lot of fans adored. I found Rem and Ram to also be fantastic, they were unique and a lot of the fan service which they presented to the show was done very well, compared to other series like Fairy Tail (which I currently detests). Furthermore, I’d like to mention that the show itself is 17+, so those of you who are younger, I do not recommend that you watch this. Nevertheless, with that mentioned, if you’ve started, finished, or have any thoughts on the anime, go ahead and tell me what you think about this anime. All right, sounds like a pretty awesome show! By 17 and up though, would you say that this show is more violent and dark than Fate/Zero or not quite that extreme? Much more violent and darker, I would HIGHLY suggest you give it a watch, I would love to read your review. Haha, wow, that’s definitely intense then! I’ll make sure to have a nice in depth review for it once I check the series out then! I really enjoyed reading your review as well and it’d be awesome if you review more titles that you watch. I know that you’ve done a few reviews in the past as well, but I think this is the first in a while. That’s the one thing I really like about short shows as opposed to 800 long Detective Conan type titles. The story wraps up pretty quickly and either ends with a cliff hanger or makes for a complete package. With this show finished, what would you say are the 3 shows you are currently watching (Or about to start) that you’re the most hyped for? I agree with you and I did lots of them a while ago, but seems like I’ve not watched as many as before, I’ve been really busy trying to find work etc, so content and so on here hasn’t been the best. I would love to review more short anime, but atm I’ve been trying to catch up on One Piece, I’m currently at Law’s past when he tries to join Mingo, but gets attached to Corazon etc. In terms of three shows, I’d say One Piece is the biggest atm. 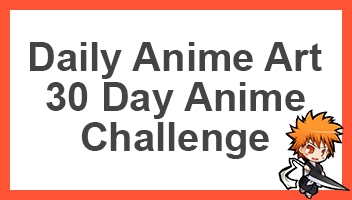 I haven’t been watching any others except for Naruto, although I need to catch up on lots from the previous seasons. Will see if I can try and work on a review for them too. I’ve seen the light novel (and the manga adaptation I believe), but I have grown a bit tired of the “another world” storyline recently. I guess this one deserves its hype.